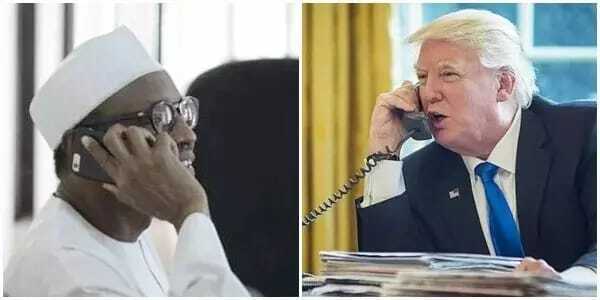 President Muhammadu Buhari on Monday had a telephone conversation with President Donald Trump at the request of the American President. The conversation was cordial and Mr. Buhari congratulated Mr. Trump on his election as the President of the United States, the presidency said. The two leaders discussed ways to improve cooperation in the fight against terrorism through provision of necessary equipment. Presidential media aide, Femi Adesina, confirmed the conversation in a series of tweets on the official twitter handle of the Nigerian presidency @NGRPresidency. Mr. Trump assured the Nigerian leader of U.S. readiness to cut a new deal in helping Nigeria in terms of military weapons to combat terrorism. Mr. Trump also invited the Nigerian President to Washington at a mutually convenient date. This is the first time the two leaders are communicating directly since Mr. Trump’s inauguration as the 45th president of the United States.